The Resident Tourist: Small Luxuries . . .
Last weekend after a night out on the Upper West Side, a couple friends and I decided to cap the evening off with cocktails and dessert at The Milling Room. 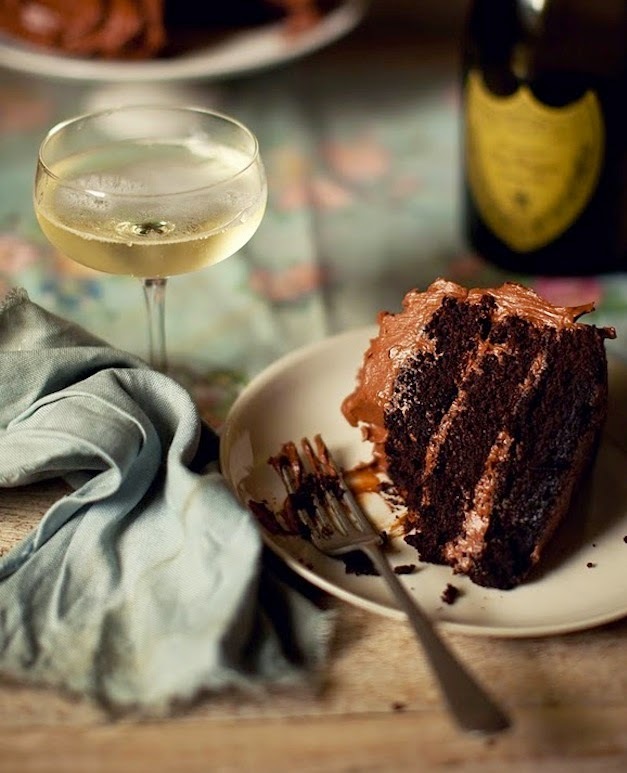 What could be more decadent than chocolate cake and champagne at 1am? In between bites and sips, we started talking about how something so simple could feel so luxurious. We quickly became obsessed with the idea of small luxuries. Little breaks from the grind that feel extravagant: Breakfast in bed. Fresh flowers. A bubble bath. Calling an Uber. Morning Macarons. A 10-minute massage. It doesn't need to be anything big or expensive, a long as it feels like a treat - a little, luxurious pause from your everyday routine. In the spirit of small luxuries I've decided to do an at-home face mask twice a week. And for the full time that it takes to do the mask, I won't check my email, look at Instagram, or work on the blog. Instead I'll put my feet up and flip through a magazine, read my book, or watch a show. What are your small luxuries? PS. If you're in the Upper West Side, check out The Milling Room. I loved the space and can't wait to go back. And based on what I tried off the dessert menu, I'm sure the food is tasty too!